Sigvaris EverSheer Maternity pantyhose compression stocking features Queen sizing, expandable waist for comfort, and is ideal for plus size waist and pregnancy. It's both effective and fashionable, providing you with the proper compression therapy while maintaining comfort and style. 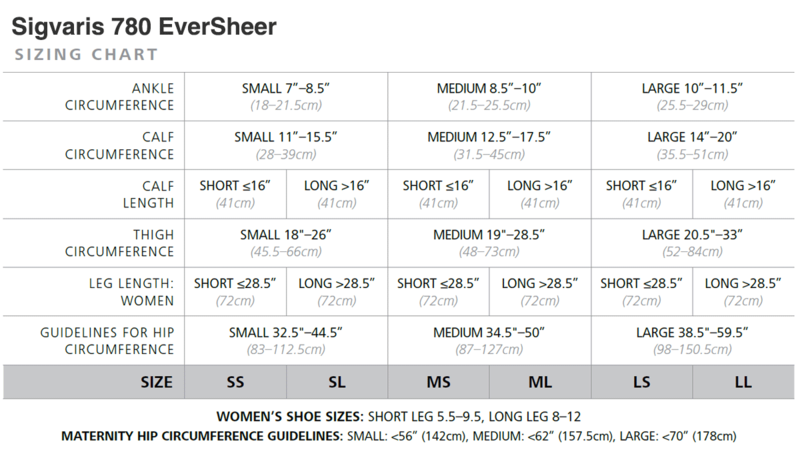 The EverSheer is great for daily casual wear, any special occasion and even travel. The sheer fabric is breathable and keeps your skin cool.